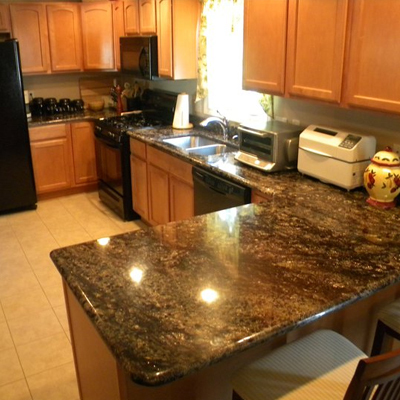 Granite has become the material of choice for homeowners remodeling their kitchens and bathrooms. 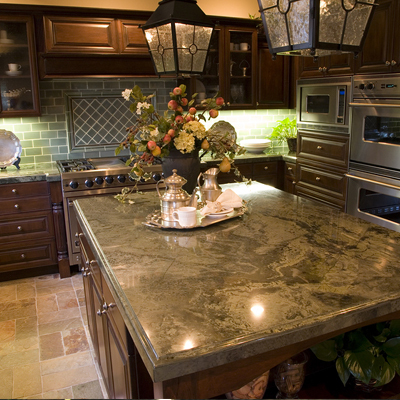 Granite is both durable and beautiful and can add a great deal of elegance and beauty to any kitchen or vanity. 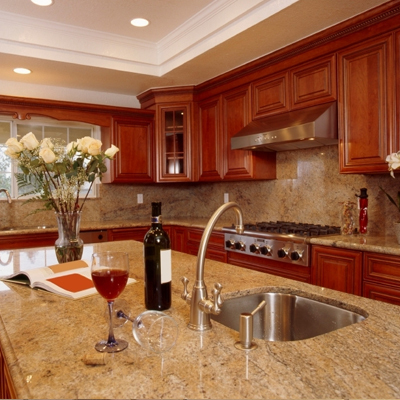 Granite is one of the hardest and strongest materials in nature. 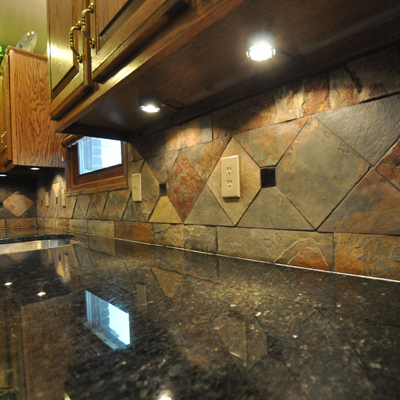 Granite's ability to withstand constant abuse will amaze you. 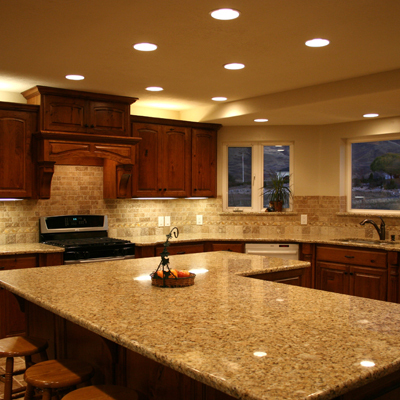 Granite counter tops are nearly impossible to scratch, hot pots won't damage it and stains are not a problem as long as whatever was spilled is cleaned up soon. With patterns of endless possibility and colors to suit anyone's taste, granite's lasting beauty will continue to add color and warmth to any room.